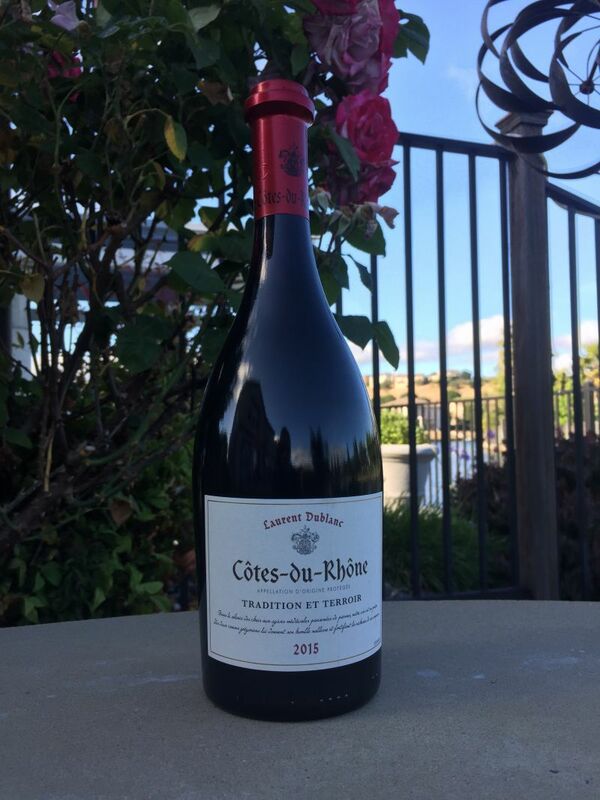 This week our bargain wine is the 2015 Laurent Dublanc red wine from the Côtes du Rhône. As is usually the case with French wine, the label does not list the grapes in the wine, but a little research enabled me to verify that this is a typical blend for the region: 60% Grenache, 30% Syrah, and 10% Mourvèdre; or in Californian terms a GSM. There is a distinct purple hue to the wine. The nose was light, with the merest hint of fruit. After the wine had a chance to open up a bit, the cherry aromas were joined by those of Loveheart candies. The odours of this wine are definitely not its best feature. The first impression in the mouth was of tannins, but then there was a ripple of raspberry. The Laurent Dublanc did not have a long finish, but it marked a return of those initial tannins not supplemented by pepper as well as the fruit. The balance between fruit, spice, and tannins is fairly good. There was nothing in the wine that is unpleasant. I paired this with a meal of tri-tip and roasted vegetables, which accentuated the pepper notes. The wine is eminently drinkable and a typical example of inexpensive wine from the Southern part of France. 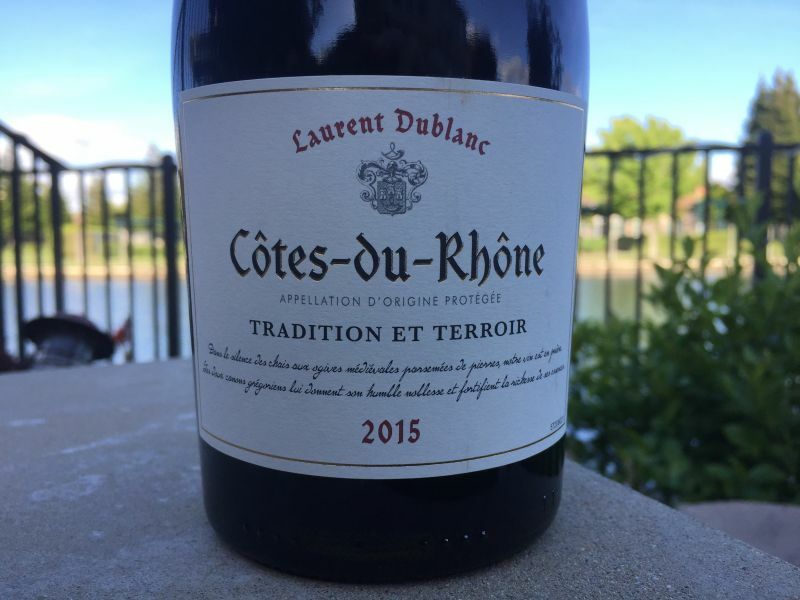 We paid $6.99 at Trader Joe’s for this 2015 Laurent Dublanc red wine.